Almost 60% of our policies have not been revisited since their conception and another 10% have been kept aside for review; the date of which keeps moving from month to month. Employees don’t take very long to figure out that the reimbursement value you put down in 2001 hasn’t been revisited yet. Why not? We wouldn’t know what to say. What is the best way to ensure that you revisit your HR policies and processes? Give them an expiry date. It’s as simple as that. And make the expiry date public. It’s not an original idea but one that will work wonders. This will force you to sit down, put all other issues aside and focus on revisiting the process/policy even if you think it’s working perfectly fine. Sometimes what we think works, needs to be put into the ICU faster. If after review, you feel it’s good, you can always extend the expiry date. So do this now! 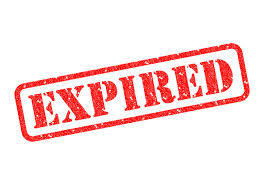 Review your policy and processes and give them an expiry date. The next time you create a new policy, mention the expiry date right on top. Don’t let the stale stay! ‹ PreviousWow, you work in HR! !